With former MLS Cup and Supporters' Shield winner Kosuke Kimura already set to join the Atlanta Silverbacks once the transfer window opens on Wednesday, the Atlanta Silverbacks announced the addition of an attack-minded veteran midfielder, Junior Burgos. Burgos will be available for Saturday's Fall Season home opener against Jacksonville Armada FC on July 11. "Coming back to Atlanta is like coming home for me," Burgos said. "Every time I think of the Silverbacks, I'm thinking of home. It's exciting to be able to come back here. I had my first training session and I couldn't be more excited to work my way in. I saw a lot of familiar faces like Shaka [Bangura], Jaime [Chavez], and Ferrety [Sousa]. We are all reunited, but now its all business. We have a job to get done." 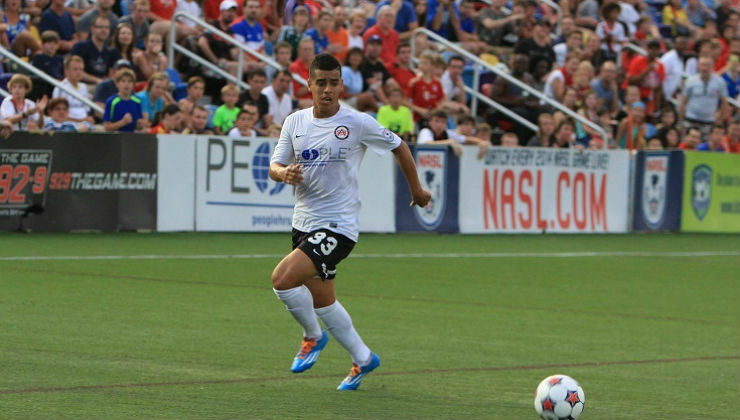 The 26-year-old Salvadoran rejoins the Silverbacks after 17 appearances with the club in 2014. He scored six goals in a Silverbacks shirt, including three goals and three assists in Atlanta's historic Lamar Hunt U.S. Open Cup run that collected the scalps of Real Salt Lake and the Colorado Rapids. 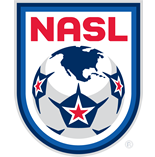 In 17 NASL and four Open Cup appearances with Atlanta, Burgos scored unstoppable strikes from distance against the Tampa Bay Rowdies, New York Cosmos, Real Salt Lake, and two against Chattanooga FC. "I'm looking forward to getting back in front of the fans," Burgos said. "I'm healthy and fit and ready to go. I can't wait to connect with the fans again; I feel like I know every fan personally, and as much as they come out for us as players, we are out there for them. And, of course, I can't wait to be a part of a team that will create those highlight reel moments that everyone will remember." His knack for goalscoring earned him eight caps with the Salvadoran national team, where he scored a crisp header in a friendly against Nicaragua on Jan. 31, 2014. Burgos is the son of Salvadoran international Efrain Burgos Sr., who played professionally in El Salvador with Once Lobos, FAS, C.D. Atlético Marte, Isidro Metapan, Alianza, and Guatemalan side Cobán Imperial. Burgos joined Colombian side Jaguares de Córdoba with former Silverbacks teammate Junior Sandoval, appearing in two domestic competition matches. After a mutual agreement to leave Jaguares, he returned to California in April – where he played his college soccer with San Jose State University and California Polytechnic State University – before agreeing to join Atlanta for the Fall Season. The Santa Ana, El Salvador, native was drafted 44th overall in the 2011 MLS SuperDraft, making a pair of appearances with Toronto FC. He was with Toronto when the club raised the Canadian Championship in 2012.